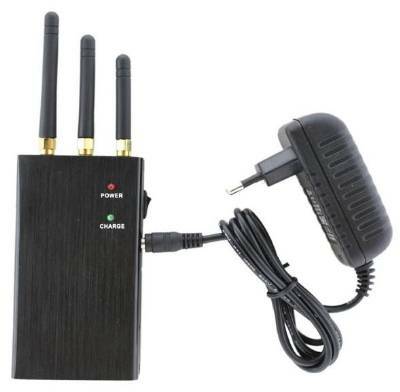 Portable powerful mobile phone jammer. Its featured by portable handhold sizeand strong output power. Each band power is 25dBm, its triple of regular mini portable jammers. 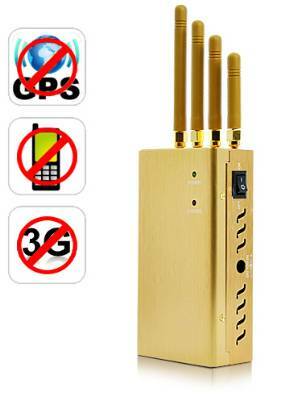 The universal design ensures you use JAM04 to block worldwide mobile phone signal easily. 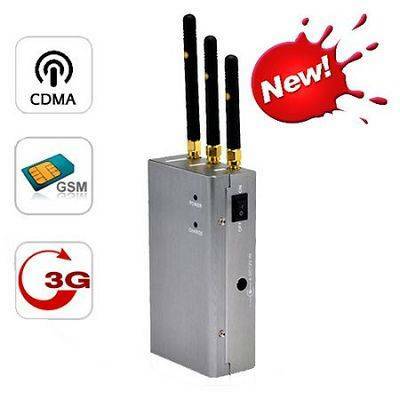 The powerful mobile phone jammer is buildin 2600mAh rechargable batteries. Battery life is 2~3 hours. You can use the powerful jammer and recharge battery when plug in to power adaptor. 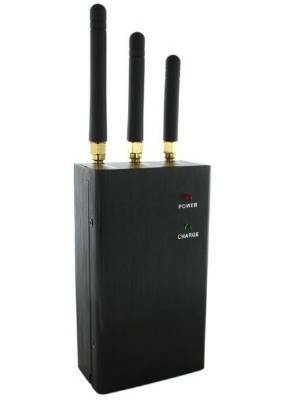 After turns on powerful mobile phone jammer, the cellphones in 10~15 meters radius will loss signal. If the mobile phone is in phone conversation, it will drop link 30 seconds later. * Applicable for business meeting room, museum, gallery, theatre, concert hall, church, temple, restaurant, * classroom, training center, factory, bank, train, bus, etc. * Ideal for using in the locations of special purpose such as hospital, gas station and so on.